Spin to victory with the Lego Ninjago Spinjitzu Starter Set! This Lego Ninjago spinner set comes with everything you need to start playing the Lego Ninjago spinners game, including two characters: Jay Vs. Frakjaw! Jay, the speedy, humorous, and inventive ninja of lightning, is prepared for a shocking battle against Frakjaw, a skeleton of fire in the evil Lord Garmadon’s skeleton army! If you’re new to Lego Ninjago spinners, then the Lego Ninjago Spinjitzu Starter Set is great for your first Lego Ninjago spinner battles! Battle Jay against Frakjaw in the battle arena and play with a friend to see who wins! 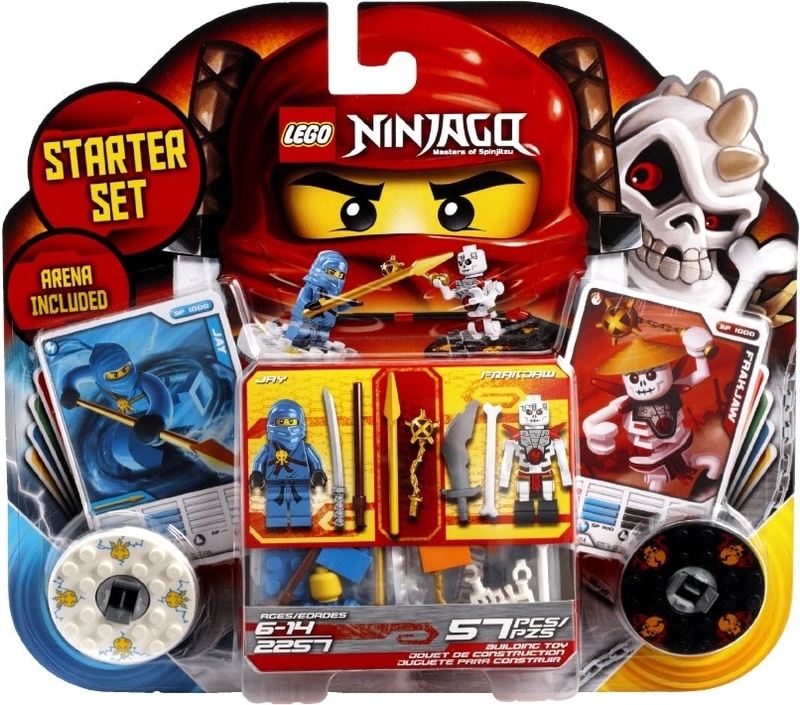 This great starter set includes 1 Jay minifigure, 1 Frakjaw minifigure, a white lightning spinner, a black fire spinner, 6 Lego bricks, 6 weapons, 2 character cards, 8 battle cards, a battle arena, and a playguide to help you learn how to play the Lego Ninjago spinners game for the first time! Start off your first Lego Ninjago spinjitzu battles with a bang with the Lego Ninjago Spinjitzu Starter Set (Jay Vs. Frakjaw)! Includes 2 minifigures and 57 Lego pieces. 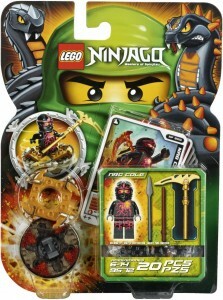 Includes 2 character cards and 8 battle cards to influence your Lego Ninjago spinjitzu battles! Includes a battle arena to battle Jay and Frakjaw in! Battle Jay against Frakjaw in the battle arena and play with a friend to see who wins with the Lego Ninjago Spinjitzu Starter Set (Jay Vs. Frakjaw)! Brrrrr!!! Break through some chilly battles with the Lego Ninjago Zane Spinner! Zane, the stealthy, cool, and efficient ninja of ice, is on a mission to save the world of Ninjago from the evil Lord Garmadon and his evil skeleton army, using his powerful ice spinjitzu! Play against a friend in a game of Ninjago spinners using this freezy cool Lego Ninjago Zane Spinner! This frozen cold Lego Ninjago spinner includes 1 Zane minifigure, a light blue ice spinner, 3 Lego bricks, 3 weapons, a character card, 4 battle cards, and a playguide to help you learn how to play the Lego Ninjago spinners game for the first time! Freeze those evil skeletons in their tracks with the Lego Ninjago Zane Spinner! Includes 19 Lego pieces. Freeze Lord Garmadon’s evil skeleton army with the Lego Ninjago Zane Spinner! Get ready for some rocking spinjitzu fun with the Lego Ninjago Cole Spinner! Cole, the solid, tough, and strong ninja of earth and leader of the ninja team, is prepared for some really tough battles against Lord Garmadon and his evil skeleton army, and is ready to save the world of Ninjago from them, using his powerful earth spinjitzu! Play against a friend in a game of Ninjago spinners using this super tough Lego Ninjago Cole Spinner! This rock-solid Lego Ninjago spinner includes 1 Cole minifigure, a green earth spinner, 3 Lego bricks, 3 weapons, a character card, 4 battle cards, and a playguide to help you learn how to play the Lego Ninjago spinners game for the first time! Smash Lord Garmadon’s skeleton army with the Lego Ninjago Cole Spinner! Includes 19 Lego pieces. Smash those evil skeletons and save Ninjago with the Lego Ninjago Cole Spinner! Prepare for some some hot battles with the Lego Ninjago Kai Spinner! Kai, the hot-headed and quick-to-act ninja of fire, is ready for action, and is ready to save the world of Ninjago from the evil Lord Garmadon and his skeleton army, using his powerful fire spinjitzu! Play against a friend in a game of Ninjago spinners using this really hot Lego Ninjago Kai Spinner! 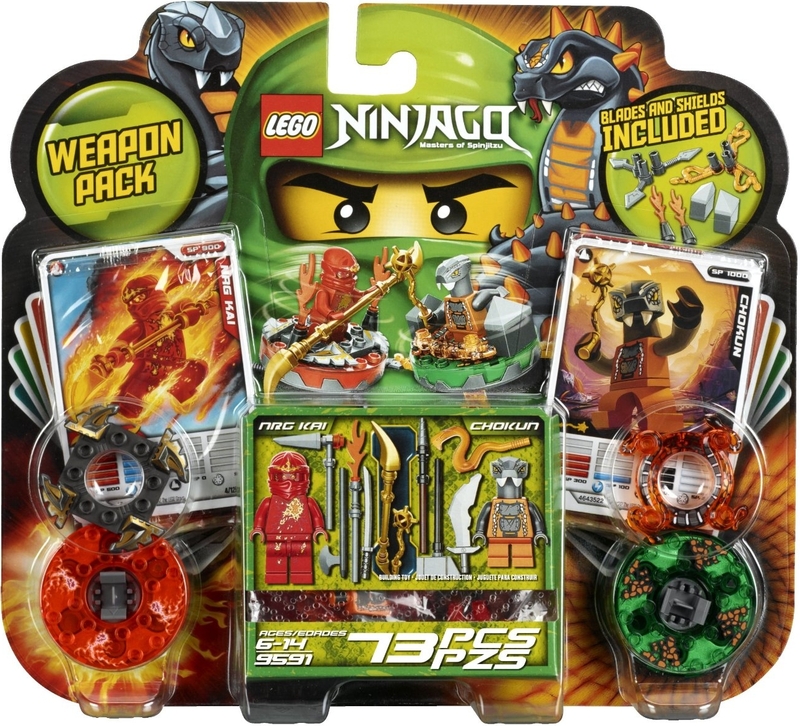 This flaming-hot Lego Ninjago spinner includes 1 Kai minifigure, an orange fire spinner, 3 Lego bricks, 3 weapons, a character card, 4 battle cards, and a playguide to help you learn how to play the Lego Ninjago spinners game for the first time! Burn through those evil skeletons with the Lego Ninjago Kai Spinner! Includes 19 Lego pieces. Burn those evil skeletons and save Ninjago with the Lego Ninjago Kai Spinner! Looking for a big boost in your Lego Ninjago spinner battles? 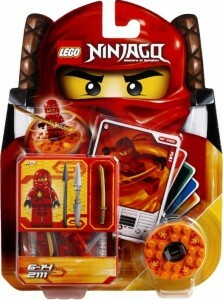 Then get the Lego Ninjago Weapon Pack! 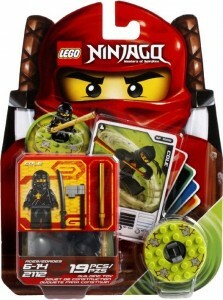 This large Lego Ninjago spinner set comes with two Lego Ninjago characters: NRG Kai Vs. Chokun. Kai, the super-hot ninja of fire, has reached his true potential and has become pure fire energy to stop the growing threat of the evil Serpentine. Can NRG Kai defeat Chokun, a soilder in the Constrictai tribe of serpentine? Battle with a friend with Kai against Chokun and see who wins! This large spinner set includes 1 NRG Kai minifigure, 1 Chokun minifigure, 2 spinners (1 transparent red and 1 transparent green), 2 spinner crowns (1 grey and 1 transparent orange), spinner shields and blades, 6 Lego bricks, 10 weapons, 2 character cards, 8 battle cards, and a playguide to help you learn how to play the Lego Ninjago spinners game for the first time! Max out your Lego Ninjago spinjitzu battles with the Lego Ninjago Weapon Pack (NRG Kai Vs. Chokun)! Includes 2 minifigures and 73 Lego pieces. Add some more fun to your Lego Ninajgo spinner battles with the Lego Ninjago Weapon Pack (NRG Kai Vs. Chokun)! Prepare for the coolest spinjitzu battles with the Lego Ninjago NRG Zane Spinner! Zane, the stealthy ninja of ice, has reached his true potential and has become pure ice energy to freeze the evil Serpentine in their tracks and stop them from taking over the world of Ninjago! With his new ice cold powers, NRG Zane is cooler than ever! Add some chill to your Lego Ninjago spinjitzu battles with the Lego Ninjago NRG Zane Spinner! This icy cool Lego Ninjago spinner includes 1 NRG Zane minifigure, a transparent light blue spinner, a transparent spinner crown, 3 Lego bricks, 3 weapons, a character card, 4 battle cards, and a playguide to help you learn how to play the Lego Ninjago spinners game for the first time! Give those evil snakes the chill of a lifetime and make your Lego Ninjago spinner battles cooler than before with the Lego Ninjago NRG Zane Spinner! Includes 23 Lego pieces. Freeze the evil Serpentine and make your Lego Ninjago spinner battles cooler than ever with the Lego Ninjago NRG Zane Spinner! Prepare for the toughest of spinjitzu battles with the Lego Ninjago NRG Cole Spinner! Cole, the tough ninja of earth, has reached his true potential and has now become pure earth spinjitzu energy to stop the growing threat of the evil snakes! 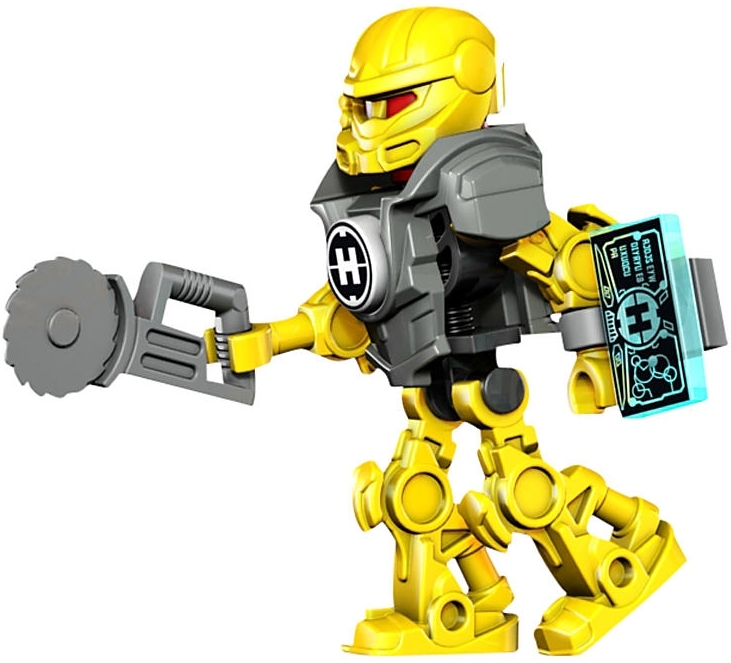 With his powerful new earth powers, NRG Cole is tougher than a boulder and more than ready to defend the world of Ninjago from the Serpentine tribes! Add strength and toughness to your Lego Ninajgo spinner battles with the Lego Ninjago NRG Cole Spinner! This rocking awesome Lego Ninjago spinner comes with 1 NRG Cole minifigure, a transparent brown spinner, a golden spinner crown, 3 Lego bricks, 3 weapons, a character card, 4 battle cards, and a playguide to help you learn how to play the Lego Ninjago spinners game for the first time! Protect the world of Ninjago and play your Lego Ninjago spinjitzu battles liek never before with the Lego Ninjago NRG Cole Spinner! Includes 20 Lego pieces. Defend and protect the world of Ninjago from the evil Serpentine tribes and add to your Lego Ninjago spinner battles with the Lego Ninjago NRG Cole Spinner! Speed to the save the day and stop the evil Serpentine with the Lego Ninjago NRG Jay Spinner! Jay, the speedy ninja of lightning, has reached his true potential and now has become pure lightning energy in order to defeat the evil Serpentine tribes. With his powerful new lightning powers, NRG Jay is ready to spin as powerful as a thunderstorm! Max out your spinjitzu battles with the Lego Ninjago NRG Jay Spinner! This shockingly cool Lego Ninjago spinner comes with 1 NRG Jay minifigure, a transparent blue spinner, a silver spinner crown, 3 Lego bricks, 3 weapons, a character card, 4 battle cards, and a playguide to help you learn how to play the Lego Ninjago spinners game for the first time! 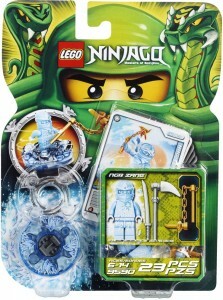 Save the world of Ninjago from the evil snakes with the Lego Ninjago NRG Jay Spinner! Includes 20 Lego pieces. 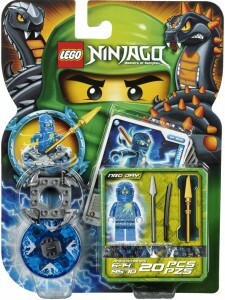 Save the world of Ninjago from the evil Serpentine tribes with the Lego Ninjago NRG Jay Spinner! Get ready for the ultimate spinjitzu battles with the Lego Ninjago Lloyd ZX Spinner! The destined Green Ninja who will one day defeat his evil father Lord Garmadon, Lloyd ZX must train for the day when he will save the world of Ninjago. With the help from the 4 other ninja: Kai, Jay, Cole, and Zane, he will soon become the ultimate spinjitzu master! Master your spinjitzu battles with this cool Lego Ninjago spinner! 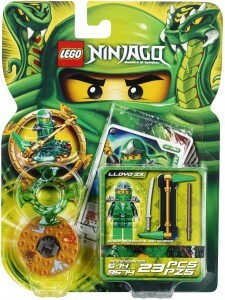 This cool Lego Ninjago Lloyd ZX Spinner comes with 1 Lloyd ZX minifigure, a golden spinner, a transparent green spinner crown, 3 Lego bricks, 3 weapons, a character card, 4 battle cards, and a playguide to help you learn how to play the Lego Ninjago spinners game for the first time! Save Ninjago from the evil Lord Garmadon and add to your Lego Ninjago spinner battles like never before with the Lego Ninjago Lloyd ZX Spinner! Includes 23 Lego pieces. Save the world of Ninjago and maximize you Lego Ninjago spinner battles with the Lego Ninjago Lloyd ZX Spinner! Ninja… GO! 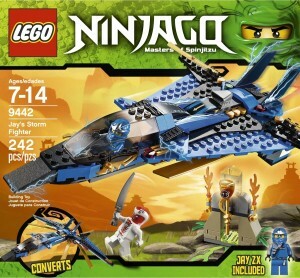 Speedy ninja of lightning, Jay, is flying in his lightning-quick Storm Fighter in search of the Golden Fangpyre Staff, which contains a vial of anti-venom, that, if used before the transformation is complete, prevent a victim form turning into a snake when bitten by a member of the Fangpyre Serpentine Tribe. But when he finds the staff, Fangpyre Scout Snappa has come to interfere! Will Jay be quick enough to grab the Golden Fangpyre Staff and avoid Snappa’s bite? You decide what will happen to Jay in the Lego Ninjago Jay’s Storm Fighter! Includes Jay ZX and Snappa minifigures. Activate the wing attack on Jay’s Storm Fighter to stop Snappa! Help Jay gain the Golden Fangpyre Staff or help Snappa stop Jay, you’re choice! Avoid the powerful Fangpyre bite to prevent from turning into a snake!